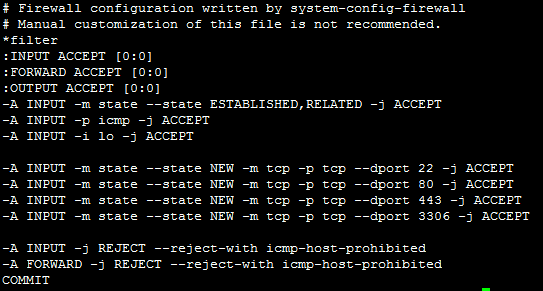 This is an example on how to allow some traffic input to CentOS server. At first you already install apache, mod_ssl and mysql, but you still cannot access apache or mysql. There is a possibility that you have not set up your firewall. Open iptables configuration using your favorite editor. Add 3 rule input to allow traffic for http, https and mysql.